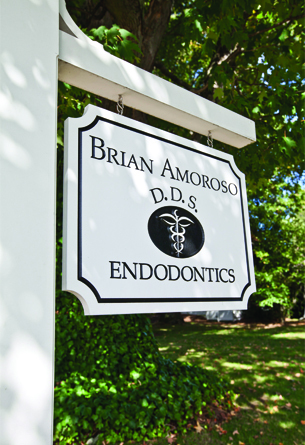 Directions · Brian Amoroso, D.D.S. Exit 22, Round Hill Road. At the end of the exit ramp, proceed to the next intersection. Turn left onto North Benson Road/Route 135. Head North on North Benson Benson; bear right onto Stillson Road to Black Rock Turnpike. Cross Black Rock Turnpike/Route 58. The office is a home/office located on the right side across from Stillson Plaza. Exit 22, North Benson Road. Turn right onto North Benson Road/Route 135. Head North on North Benson Benson; bear right onto Stillson Road to Black Rock Turnpike. Cross Black Rock Turnpike/Route 58. The office is a home/office located on the right side across from Stillson Plaza. Exit 44, Fairfield Business District/ Route 58. Exit onto Route 58 South, Black Rock Turnpike and proceed approximately 2 miles to the traffic signal at Stillson Road/Route 135. (The Little Pub is located on the corner.) Turn left onto Stillson Road. The office is a home/office located on the right side across from Stillson Plaza .